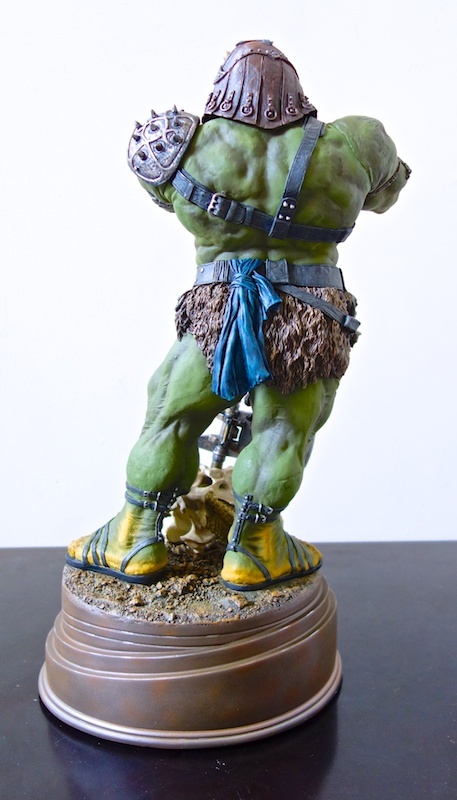 This statue is part of Sideshow Collectibles’ “Mythos” line. They’re all 1/5th scale statues that depict Star Wars characters in ways that are a bit different from the usual designs taken straight from the movies. These are versions of the characters that we may not have seen on screen, but that could have existed, like Obi-wan Kenobi when was he was wandering the deserts of Tatooine between the prequels and the original trilogy. In this case, they’ve invented a character from whole cloth. 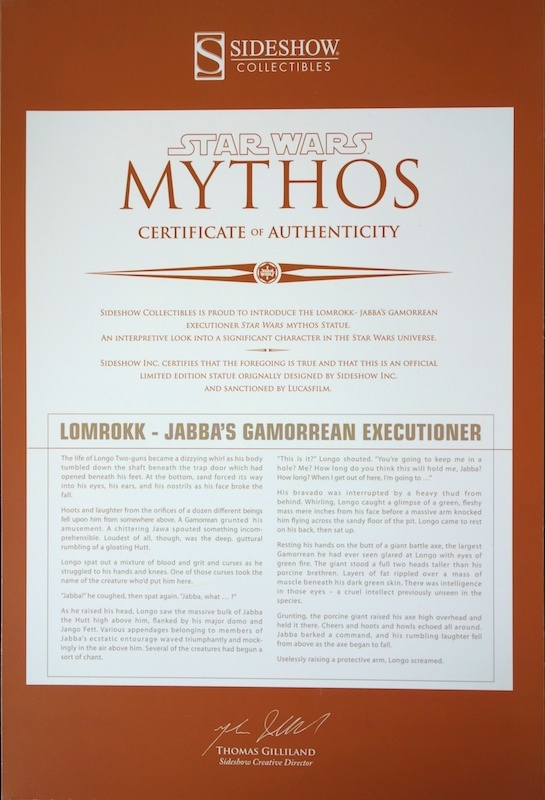 Lomrokk is supposed to be a Gamorrean guard who was particularly large and cunning, and who served as an executioner for Jabba before he got his rancor. It’s not a bad backstory, but I don’t think you really need it to be able to appreciate the statue. 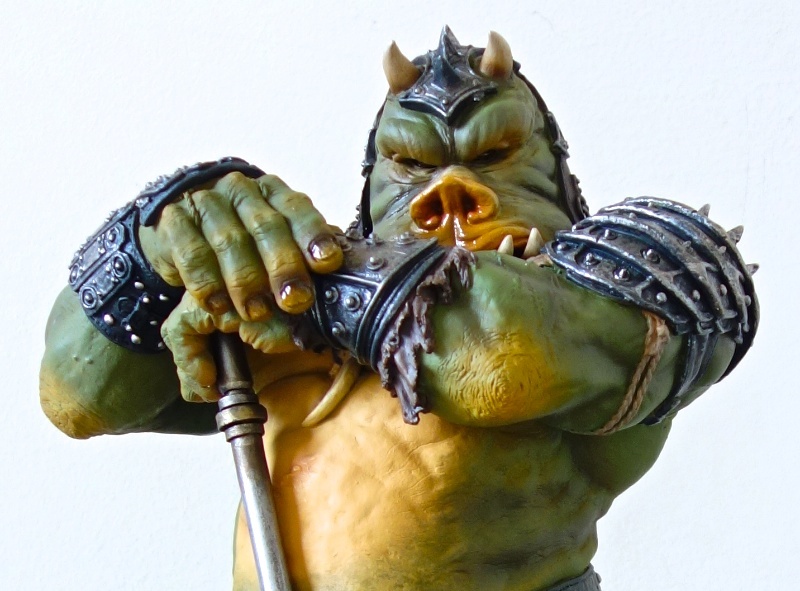 You could just think of it as a slightly different take on the Gamorrean design. 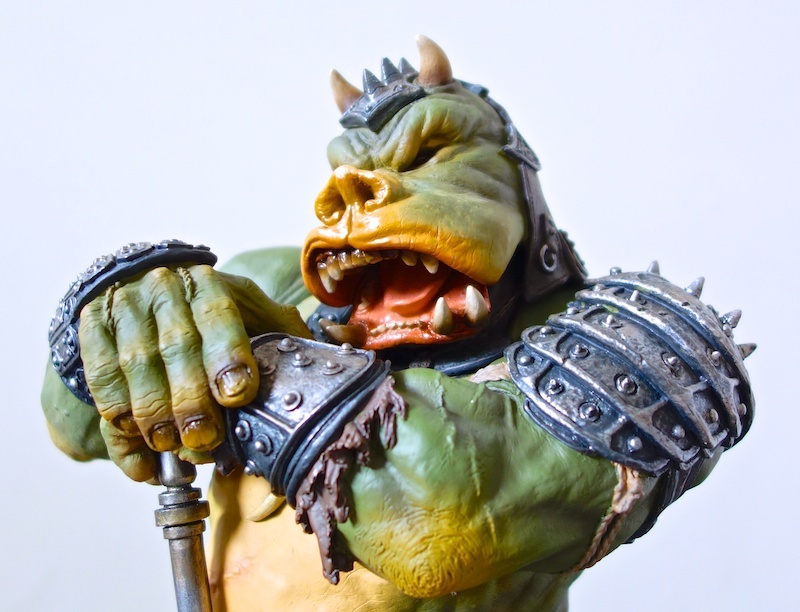 It’s still the same basic concept (green pig-man) but while the designs from the movie were more comical than menacing, this guy looks like a real badass. 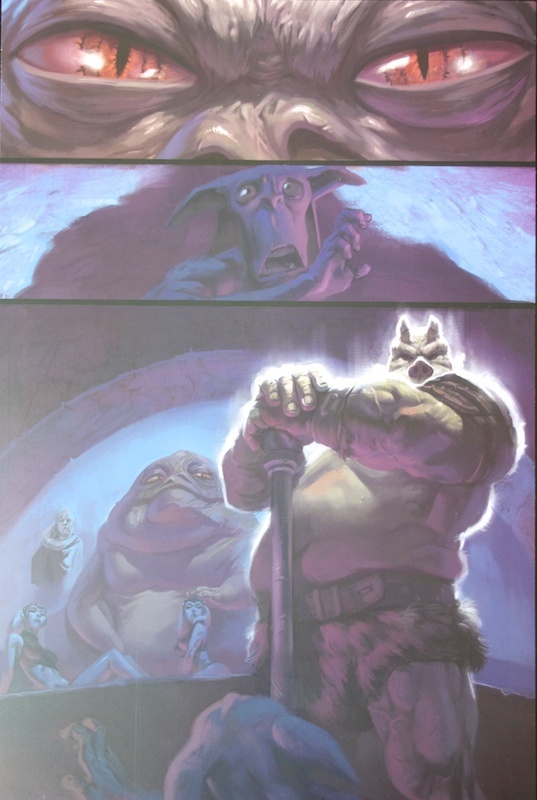 If Gamorreans looked like this, I could understand why Jabba would want them as his guards. He’s still quite stocky, but it’s all muscle. The mythos line is a Sideshow exclusive line, so in the US you can only get it through Sideshow Collectibles (or on the secondary market). It’s currently sold out, and in fact I think it’s the first statue in the line to do so. Of course, that’s largely because of its relatively small edition size — only 750. Like most Sideshow exclusives, this comes with an extra — an additional head that you can switch out. It’s either growling or yawning. While a lot of people were unsure about this head at first, I think it’s nicely done and it’s nice to be able to have some extra display options. Still, I think I’ll stick to the head with the closed mouth most of the time. A number of people on the forums I frequent have experienced issues with their extra head not sitting flush against the body. Sometimes the problem is quite pronounced. Luckily mine seems to be okay. 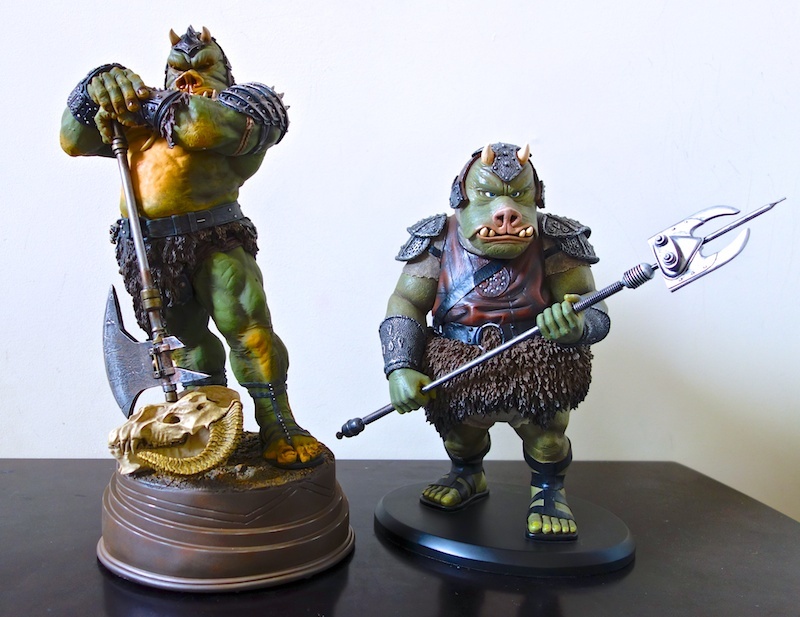 Lomrokk is about 19″ tall, which is big for a 1/5 scale figure (you can compare him to the Attakus Gamorrean above, which is also 1/5 scale). Most of the height comes from the very tall base, though. 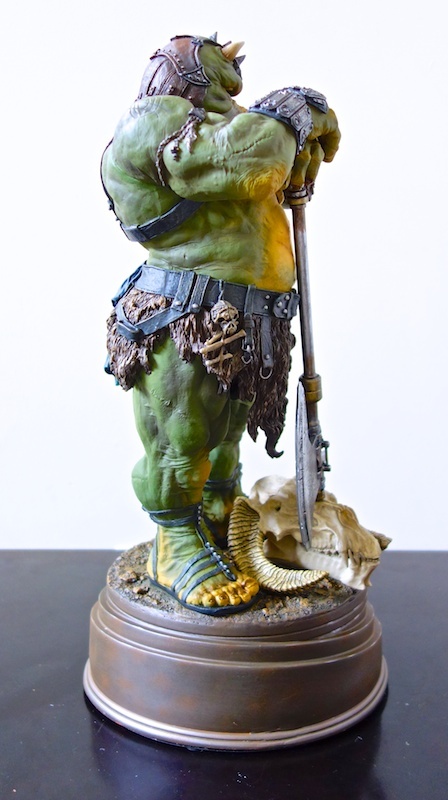 If you compare the statues themselves, Lomrokk is less than a head taller than the Attakus Gamorrean. Since he’s supposed to be particularly big, I guess that’s okay. 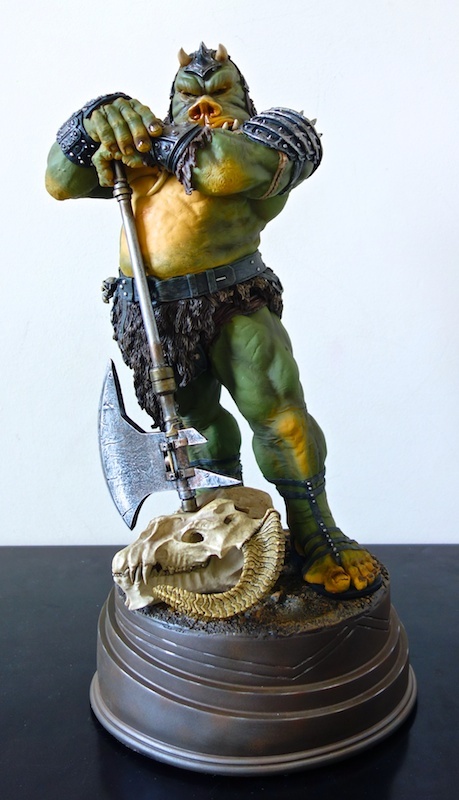 The statue comes in four parts that you have to assemble: the base, the tauntaun skull, his axe, and Lomrokk himself. Overall, I’m pretty impressed with the level of detail and size of the piece. There are a few places where the paint could be better, but when taken as a whole it’s very cool. It comes with a nice certificate of authenticity printed on thick card stock that has the backstory on one side and the concept artwork on the other. It can kind of double as an art print, and you could even frame it if you so desired. Here it is on my shelf with several other Sideshow pieces. 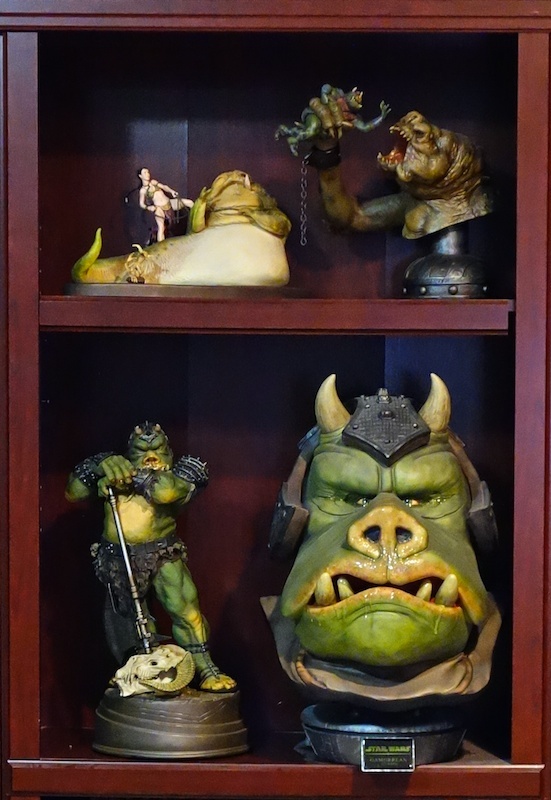 From upper left to lower right: the “You’re Going to Regret This” diorama, the “There Will Be No Bargain” diorama, Lomrokk the Executioner, and the life size Gamorrean Guard bust. I think it’s a great addition to the collection. love your reviews !!!! Great job and thank you !